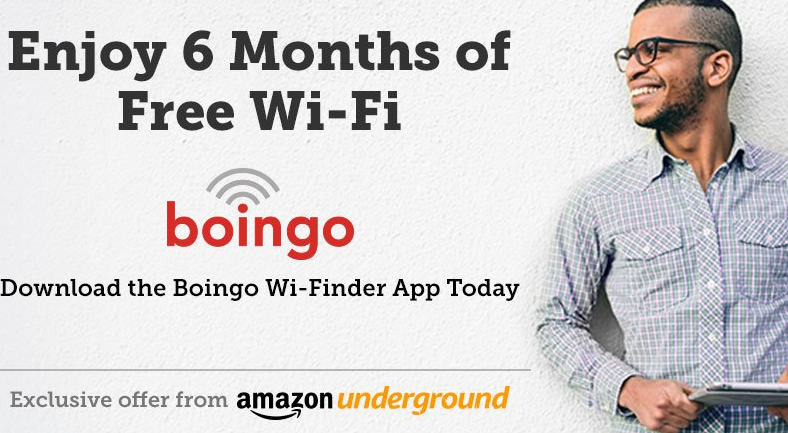 Check out this deal from Amazon where you can get (6) months of Boingo Wi-Fi for FREE. You can download the Boingo Wi-Finder app with the “Actually Free” sash from Amazon Underground and create a free Boingo account. There is no credit card required and you get FREE access to Boingo Wi-Fi hotspots around the country.